Tuur and Lambert are best friends in a Nazi-occupied Dutch village who pass their days playing soldiers and exploring local caves, mimicking a war that seems far removed from their everyday life. When Maartje joins their class, the young girl immediately stands out as different from her classmates. Yet the boys embrace their new friend, forming a unique bond based on shared adventures, secrets and mischief. Ultimately, the realities of war find even them - Lambert’s father, a Nazi sympathizer, is named mayor of their town and Tuur discovers his own father and brother have joined the resistance, instantly putting the two boys at odds. Meanwhile, Maartje is hiding a secret of her own, one that not only threatens to tear the new friends apart, but could lead to devastating consequences for anyone involved in keeping it. 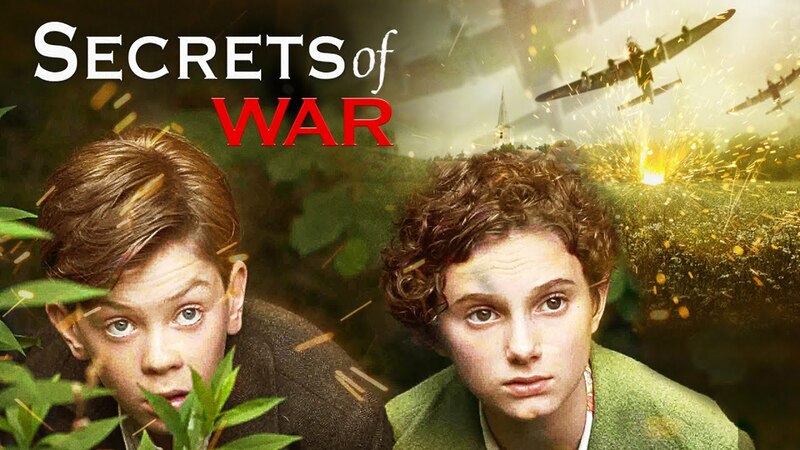 Secrets Of War puts both the danger and the humanity of wartime friendships squarely on the shoulders of three children who must face extraordinary circumstances with a maturity far beyond their years. "**** Secrets of War movingly depicts how war shatters the innocence of two friends divided by their parents' conflicting allegiances. The film subtly compares the exclusionary behavior and misunderstandings of childhood to the same actions magnified in adulthood. Director Dennis Bots illuminates the way bullying turns into totalitarianism and how ignorance transforms into murderous nationalism. This is an intense look at war through a child's eyes; older kids and parents will find lots to discuss and may be inspired to learn more about the topic." "A strong young cast and a clean presentation should make "Secrets of War" intriguing for junior cinephiles who may not yet have the same film vocabulary as their parents."